As worldwide demand for raw materials continues to grow it needs to be counterbalanced by greater efforts to recycle. 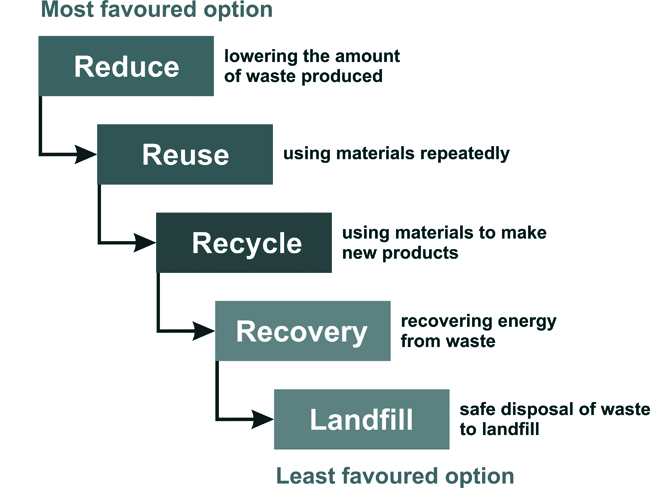 Much of what is termed “waste” is often a valuable resource disposed of incorrectly. Greater recycling and reuse will help ease pressures on primary raw materials, some which are in limited supply, and others that may be considered conflict materials. Greater resource efficiency, including in extraction, processing and production will reduce demand on energy and the reduction of greenhouse gas emissions. Consumer goods account globally for approximately 60 per cent of total consumer spending and 35 per cent of material inputs into the economy. As part of the circular economy package, the Commission also adopted a legislative proposal to review recycling and other waste-related targets in the EU and annex. Achieving the new waste targets would create 180 000 new jobs, while making Europe more competitive and reducing demand for costly scarce resources. Landfill sites are becoming a thing of the past and reuse and recycling are taking precedence. According to the submission by The Bedroom Factory and Lifestyle Furniture, in relation to a new Waste Policy in Ireland in 2010, mattresses that end up in landfill only start to decompose after 15 years but elements such as polyurethane foam (PU) can take up to 100 years, and steel springs over 50 years to decompose. In addition, each mattress requires the equivalent of 23 cubic feet of air space in landfill. By diverting mattresses from landfill this will have very beneficial impacts on the reduction of Co2 gasses and on the environment. It estimates that we send 400,000 – 600,000 old mattresses to landfill every year in Ireland. This calculation is based on 1.5 mattresses per head of population being changed every 10 – 15 years. The materials contained within a mattress are also very valuable and can be reused or recycled within another process or business. This impacts the environment in a positive way as it extends the lifecycle of a resource and also decreases the energy and water used to make new resources. The main resources within a mattress are wood, metal and fabric. Boomerang is an example of doing the right thing with regard to bulky and mixed waste materials which mattresses comprise but which are in fact valuable resources. Practical initiatives like Boomerang Recycling, which is a social enterprise model, have an important role to play and projects such as these deliver social, environmental and economic benefits to local communities.